Imagine leaving your entire life behind. Imagine that you must flee with your children. Imagine that one of them is an infant. For refugees around the world, this is not imaginary. It is reality. At Carry the Future, we strive to help refugees during what is the most challenging and difficult time of their lives. To do this, we need your help. As simple as it seems, a monthly donation will do so much good for refugees around the world. “‘My friend. My friend. Thank you my friend.’ It may be all the English mama and papa know. 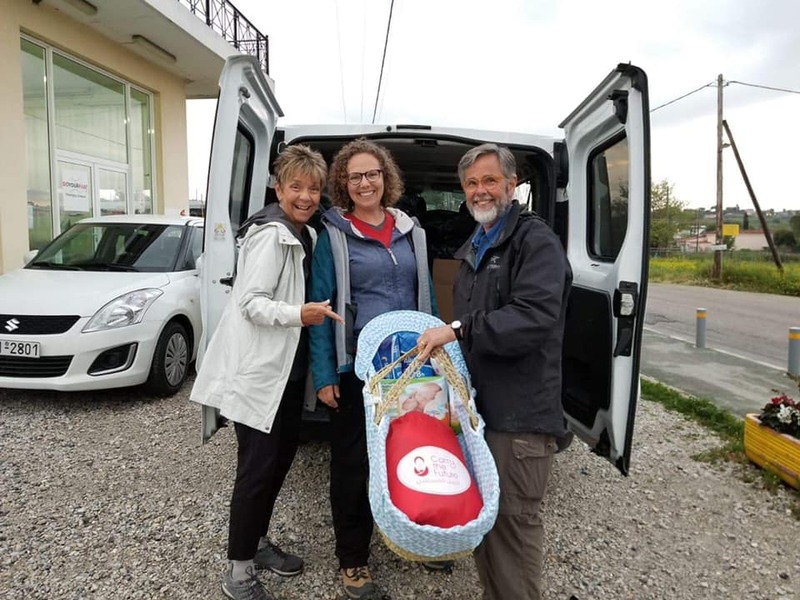 These words magnify the gratitude and relief shining in their eyes at an aid distribution.” Every parent knows the challenge of taking care of a baby. The diapers, the wipes, the feedings, the not sleeping, and repeating it all over. Being a refugee amplifies these difficulties because refugees do not always have access to the items needed for a baby. But there’s a simple solution: your donations. Your donations provide support for refugees. Your donations make the gratitude and relief possible. Your donations provide much-needed diapers to refugee families. “We gave this Moses basket to the papa of a brand new baby boy. A baby boy whose first years of life will be spent in a refugee camp. Will his papa tell him about fleeing the horrors of his homeland in hopes of a better life? Will his papa share the story of waiting in line on a cold dark night in an old warehouse to receive a baby bed and newborn essentials? Will he know that he learned to walk in a gravel yard in front of container that holds two families? Will he understand that there are people on the other side of the world who care about him? Where will life take him? Who will he become?” None of these questions are easily answered. As parents, we know that to be the case for many of the questions our children ask. But, as parents, our most important job is not to answer the questions. It is to provide. Because of your donations, Team 55 was able to provide diapers for this papa and his baby. At Carry the Future, we believe that everyone can do something. Giving monthly to Carry the Future is a simple way to do something to help refugees. Follow this link to set up your monthly donation. 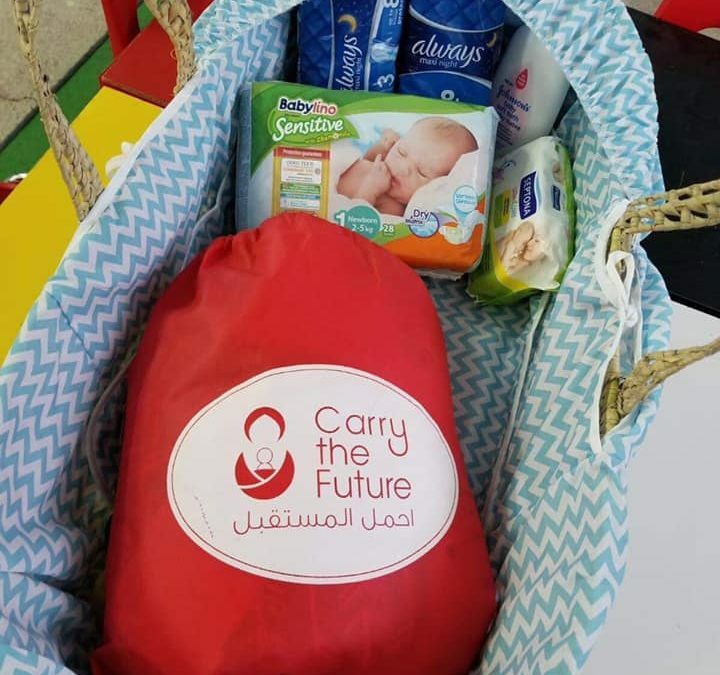 Your donations allow Carry the Future to provide diapers, baby beds, and so much more to refugees in need. Click here to learn how you can set up a monthly donation for Carry the Future.